PLEASE: Respect the People and the Location. Come in peace or rest out. Drugs,drive with alcool and violence its prohibited by the laws. PLEASE: Turn up the info of the Party to your Friends. Help us to create and defende the space for the Music,the Party and the Friendship for all in the center of the city. 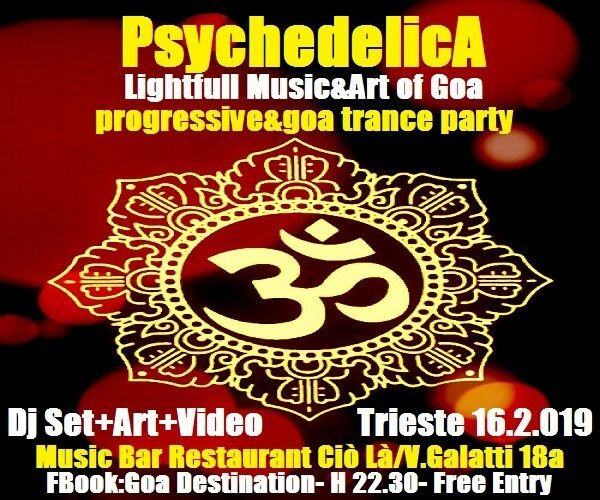 GOA: The Place to Opening Energy,Fantasy and Spirit. Enjoy!